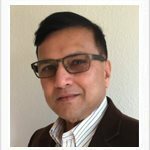 Sudhir Kadam is a serial entrepreneur and angel investor in Silicon Valley with over 35 years of global experience in new generation domains like Digital Transformation, Industrial IoT/M2M, and AI/Analytics, in high growth domains such as Telecom, Transportation, Medical Diagnostics, Mobile Payments, and EduTech. He mentors early and growth stage companies to find the right product-market fit, gain initial traction through optimal GTM, and helps them scale to grow into a thriving business with game-changing solutions, specific to the situation on hand. Trevor Cornwell is Founder and CEO of appbackr inc., a market-exchange for Apps. appbackr is the winner of PayPal X Developer Challenge, an OnMobile 100 company, and an AlwaysOn 250 company. Cornwell has built and scaled media and technology startups, most recently he developed a video personalization service to create video streams based on viewer behavior. Earlier, he founded Skyjet to create market efficiencies by aggregating charter aircraft inventory. Skyjet was acquired by Bombardier, Inc. Prior to Skyjet, he started several media companies in emerging markets, including CET Online, an early pioneer in Internet-distributed news. Cornwell is a popular speaker at industry conferences and national business forums; he has been featured in People magazine, Fortune Magazine, The NY Times, ABC News, MSNBC and Fox News. With an extensive background in software consulting with companies like Oracle, McGraw Hill, Ingersoll Rand, Garmin, VMWare, Cypress Semiconductor, Kemet Electronics and dozens of other fortune 1000 companies, Mahender Bist created AccountSight in 2012 based on the needs of his consulting firm. He founded AccountSight with the clear vision of providing an easy and affordable end-to-end software solution for small to mid-size businesses to manage their time and attendance, billing and receivables, purchasing to payables to manage and streamline their cash flow. Ted Finch is one of the top channel and marketing experts in the high-tech industry, having launched over 450 products into the channel for over 200 vendors (including Microsoft, HP, Adobe, Corel, Intel, Aldus, Epson, AOL, WordPerfect, Novel, Autodesk, Citrix, IBM, Western Digital, Sony, Disney, Lotus, DCA, Trusted Data, Netscape, iOmega, plus has consulted with over 170 Fortune 500, Mid-sized and start-ups including several storage software and hardware vendors). Ted is a former VP of Sales and Marketing with TAC (now called MarketStar), a VP at Goldmine Software, VP at Harcourt, Sr. VP at Motorola, VP at GE. In addition, he helped form Red Storm Entertainment with Tom Clancy, and led the marketing team that published Netscape Navigator, the #1 best-selling software in the world at the time that inaugurated the .com era. Anita Sharma brings a wealth of over 25 years of corporate and government work experience including product marketing and business development to AccountSight. She has worked for companies such as Revlon, Bantam Doubleday Dell, Cendant, NYC Health and Hospitals Corporation and Innovatek. She also founded her own consulting company to assist small businesses procure funding as well as to expand their client base. She was also involved in programs such as the Avoid Deforestation project as well as human rights activism when she worked for former Ambassador Robert White at the Center for International Policy in Washington DC. She enjoys travel, music and reading. Known for her entrepreneurial acumen, Anu began her journey in the IT industry in 1993. She has worked in global markets, Consulting and evangelising products and services in the domain of ERP, IT security, Management Systems and IT Education. Widely travelled and passionate about the Business she undertakes, she claims to find her expression in a cause associated with greater good. She enjoys hiking, yoga, public speaking and spending time with her family. Our development team consists of talented and customer-focused development and support specialists that make it possible to constantly update AccountSight's time, expense and invoicing software with the latest features and functionalities.